Experts in the field of fisheries and aqua feeds have estimated that about a quarter of wastes coming from fishery are discarded, so causing not only a significant environmental impact but also a loss of the potential value of such products. This consideration stresses the importance of finding adequate modalities for fish wastes management, taking into account the possibility to use them not only as fish feeds but also as a potential source of bioactive compounds. The problem of fishery wastes has increased in the last years, becoming a global concern which is affected by several biological, technical and operational factors as well as socio-economic drivers [1,2]. The definition of "fish wastes" includes many fish species or by-catch products having no or low commercial value, undersized or damaged commercial species as well as species of commercial value but not caught in sufficient amounts to warrant sale. However, the use of fish as feed cannot be governed only by fishery market forces and, on the other hand, the need for responsible fisheries and aquaculture development has recently been underlined in order to preserve aquatic biodiversity . It has been estimated that more than 50% of fish tissues including fins, heads, skin and viscera are discarded as they are considered "wastes". Every year discards from the world's fisheries exceed 20 million tons equivalent to 25% of the total production of marine fishery catch [2,4] and include “non-target” species, fish processing wastes and by-products. In the European Union those discards represent a total of ca. 5.2 million tons per year . The amount and the composition in species of fishery wastes are different with fishing areas, therefore the overall amount of discarding is highly variable [6-7]. In the Mediterranean Sea, Gonçalves et al. reported considerable amounts of trammel net discards, with a total of 137 species (79.7% of the total) discarded and an overall discard rate ranging from 15 to 49% for Greece to Portugal, respectively. In addition, discards of fish processing industry have been estimated to reach up to 75% of the total volume of products . An important feature is related to the environmental impact that fish wastes could have on aquatic ecosystems, since the release of organic wastes might change significantly the community structure and biodiversity of the benthic assemblages [1,10-11]. Consequently, the management of fish discards involves different aspects mostly related to the need to abate this pollution source and to search for the best ways to solve this problem. For example, in Europe, the new Common Fisheries Policy (CFP) aims to reduce the discard rate. In addition, fish wastes result in a significant economic loss, whereas they could be proposed as a potential source of feed for farmed fish. Several studies have documented the increasing trend shown by aquaculture productions in the last years , however the future aquaculture development is constrained by a significant bottleneck. Aquaculture productions are dependent on the availability of fish meal and oil, which are an important protein and lipid source for fish feeds . The production of aquafeeds affects significantly the total costs of production; on average, the production of 1 kg of fish meal requires from 4 to 6 kg of fish, while the production of 1 kg of fish oil requires 10-50 kg of fish . Each year, it has been estimated that about 60% of fish meal and 80% of fish oil of the world total production are consumed by the aquaculture field and this percentage is expected to increase to warrant the future aquaculture growth [15-17]. Fish meal and fish oil represent the most valuable products obtained from marine byproducts that are not used for human consumption . In 2012, 15 million tons of fish caught were used for the production of fish meal and oil . The global production of fish oil ranges between 5.5 and 7.5 million tons/year, but in future the availability fishmeal and fish oil will limit further growth of the intensive aquaculture productions [17,19-21]. The most important Countries for fish oil production are Peru and Chile, which contribute to the 52% and 13% of the total world production. Iceland and Norway, contributing to the 7% of the world production of fish oil, are able to satisfy the whole European request [14,16,22-23]. In this context, the use of fishery by-products as alternative sources for the supply of fish meal and oil could reduce the fishing pressure on the species targeted for meal and oil production  and, at the same time, it could contribute to sustainable aquaculture productions . In spite of the low value traditionally assigned to fishery by-products, from this huge mass of unused/under-utilized resources a significant amount of bioactive compounds with wide pharmaceutical and biotechnological applications could be produced, such as proteins (enzymes, collagen), protein hydrolysates, lipids, astaxanthin, chitin [26-27]. Among the bioactive compounds extracted from fishery wastes and byproducts, proteins and oils rich in Polyunsaturated Fatty Acids (PUFAs), especially eicosapentaenoic acid (EPA) and Docosaesaenoic Acid (DHA) are particularly interesting for their high commercial value, as well as for their possible use as fish feed components [28-35]. Since fishery wastes are rich in high quality nutrients, there is a great potential in marine bioprocess industry to convert and utilize a large fraction of these valuable products. On the other hand, fishery discards and by-products may lead to significant problems in terms of management and environmental impacts. In many Countries particular emphasis is given to explore the possibility of using of by-products of fishing, aquaculture and traditional fishing rather than to face the problem of their disposal . The use for aquafeeds production of the wastes from fishing and fish processing industry could be an important tool for the valorization of fishery by-products and discards at a local or regional level . Fishery discards from European fleets are not negligible, and their reduction is an ecological, socio-economic and moral imperative. The Countries bordering on the Mediterranean Sea are characterized by important fishing fleets; based on these considerations, this basin may play an important role as a source of aquafeeds as well as of bioactive compounds. The European Union (EU)  has recently launched a joint policy to reduce unwanted by-catches and eliminate discards in European fisheries, however an implementation of the EU Regulation for the reduction of fish wastes is still required. The objective of reducing fishery discards can be achieved by establishing technologies to enhance and transform fish wastes in an economic resource, for example by developing techniques of extraction and concentration of the bioactive compounds they contain [20,36] and defining strategies for their use for fish meal and oil for animal feeding. Moreover, an ecosystem approach instead indicates that a policy for the effective reduction is not possible without a significant intervention on the selectivity of the used fishing equipment [37-41]. 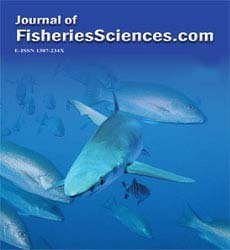 In conclusion, management of fish wastes represents an attracting topic, since this suggests a possible way to solve environmental impacts of fishery discards and, at the same time, it provides a tool to exploit them as a source of feeds for farmed fish, so promoting future aquaculture growth in a sustainable way. The use of fishery wastes and by-products allows the potential abatement of wastes that otherwise will be discarded, causing nutrient enrichment and water eutrophication. Fishery wastes and by.-products are an important source of high-added value compounds, however possible risks related to the presence of contaminants must be considered before their utilization. Concerning current laws which apply to animal experimentation, the Scientific Steering Committee of the European Commission has addressed the risks related to fish by-products, taking into account that large volumes of these byproducts - about 3 million tons each year within the EU - are processed into feed constituents . Therefore, feeding trials under controlled rearing conditions are needed to assess possible biological risks of aquafeeds obtained from fishery wastes. In this context, scientific research can contribute to the sustainable exploitation of such fish resources, suggesting the most suitable methodologies and strategies for the valorization of these high added value products [13,18,39,43,44]. Arvanitoyannis IS &KassavetiA (2008) Fish industry waste: treatments, environmental impacts, current and potential uses. International J Food SciTechnol43: 726-745. Kim S-K and Mendis E (2006) Bioactive compounds from marine processing by-products- a review. Food Res Int39: 383-393. FAO (2011) Aquaculture development. 5. Use of wild fish as feed in aquaculture. FAO Technical Guidelines for Responsible Fisheries.No. 5, Suppl. 5.Rome,. 79p. Rustad T (2003) Utilization of marine by-products. Electr J Environ, Agricult and Food Chem2(4): 458−463. Mahro B &Timm M (2007) Potential of biowaste from the food industry as a biomass resource. Engin in Life Sci7(5): 457−468. Davies RWD, Cripps SJ, Nickson A, Porter G (2009) Defining and estimating global marine fisheries bycatch. Mar Policy 33(4): 661-672. Rochet MJ and Trenkel VM (2005) Factors for the variability of discards: assumptions and field evidence. Can J Fish AquatSci62: 224-235. Gonçalves JMS, Stergiou KI, Hernando-Casal JA, Puente E, Moutopoulos DK, et al. (2007) Discards of trammel nets in southern European small-scale fisheries. Fisheries Res 8(1-3): 5-14. Olsen RL, Toppe JE, Karunasagar I (2014) Challenges and realistic opportunities in the use of by--products from processing of fish and shellfish.Trends Food SciTechnol36: 144-151. Vezzulli L, Chelossi E, Riccardi G, Fabiano M (2002) Bacterial community structure and activity in fish farm sediments of the Ligurian Sea (western Mediterranean). AquacultInt10(2): 123-141. Vezzulli L, Moreno M, Marin V, Pezzati E, Bartoli M, Fabiano M (2008) Organic waste impact of capture-based Atlantic bluefin tuna aquaculture at an exposed site in the Mediterranean Sea. Estuar Coast Shelf Sci78(2): 369-384. FAO (2012) The state of the world fisheries and aquaculture 2012. FAO, Rome, 209 pp. Jackson A (2009) The continuing demand for sustainable fishmeal and fish oil in aquaculture diets. IntAquafeed12: 32-36. Shepherd CJ and Jackson AJ (2013) Global fishmeal and fish-oil supply: inputs, outputs and markets. J Fish Biol83: 1046-1066. Péron G, Mittaine JF, Le Gallic B. (2010) Where do fishmeal and fish oil products come from? An analysis of the conversion ratios in the global fishmeal industry. Mar Policy 34: 815-820. Tacon AGJ; Hasan MR, Metian M (2011) Demand and supply of feed ingredients for farmed fish and crustaceans: trends and prospects. FAO Fisheries and Aquaculture Technical Paper No. 564 FAO, 87 pp. Naylor RL, Hardy RW, Bureau DP, Chiu A, Elliot M, et al. (2009) Feeding aquaculture in an era of finite resources. ProcNatlAcadSciUSA106: 15103-15110. Ferraro V, Cruz IB, Ferreira JR, Malcata FX, Pintado ME, Castro PML (2010) Valorisation of natural extracts from marine source focused on marine by-products: A review. Food Res Int43: 2221–2233. NOAA/USDA Alternative Feeds Initiative (2011) The future of aquafeeds. Technical Memorandum NMFS F/SPO-124, pp. 1-103. FAO (2002) Use of fishmeal and fish oil in aquafeeds: further thoughts on the fishmeal trap, by N.B.New& U.N. Wijkström. FAO Fisheries Circular No. 975, Rome, 61 pp. FAO (2009). Fish as feed inputs for aquaculture- Practices, sustainability and implications.Hasan MR and Halwart M (eds.). FAO Fisheries Aquacult Tech Paper, n. 518, 426 pp. EU (2003) The use of fish by-products in aquaculture. Health & Consumer Protection. Directorate General. Ed. Report of the Scientific Committee on Animal Health and Animal Welfare, 93 pp. European Parliament (2004) The fish meal and fish oil industry: its role in the Common Fisheries Policy. Directorate General for research, 148 pp., Luxembourg. Asche F and Tveterås S (2004) On the relationship between aquaculture and reduction fisheries. J AgricultEconom55(2): 245-265. EU (2013) Strategic guidelines for the sustainable development of EU aquaculture. Brussels, 14 pp. Khora SS (2013) Marine fish-derived bioactive peptides and proteins for human therapeutics. Int J Pharm PharmaceutSci5(3): 31-37. Ghaly AE, Ramakrishnan VV, Brooks MS, Budge SM, Dave D (2013) Fish processing wastes as a potential source of proteins, amino acids and oils: a critical review. J MicrobBiochemTechnol5(4): 107-129. Hardy RW, Sealey WM and Gatlin DM (2005) Fisheries by-catch and by-product meals as protein sources for rainbow trout Onchorynchusmykiss. J World AquacultSoc36(3): 393-400. Kotzamanis YP, Alexis MN, Andriopoulou A, Castritsi-Cathariou I, Fotis G (2001) Utilization of waste material resulting from trout processing in gilthead bream (Sparusaurata L.) diets. Aquacult Res 32(1): 288-295. Falch E, Rustad T, Aursand M (2006) By-products from gadiform species as a raw material for production of marine lipids as an ingredient for food and feed. Process Biochem41: 666-674. Hordur G, Kristinsson&Rasco BA (2000) Fish Protein Hydrolysates: Production, Biochemical, and Functional Properties. Crit Rev Food SciNutr40: 43-81. Kim S-K, Wijesekaraa I (2010) Development and biological activities of marine-derived bioactive peptides: A review. J Funct Foods 2: 1- 9. Harnedy PA, FitzGerald RJ (2012) Bioactive peptides from marine processing waste and shellfish: A review. J Funct Foods4: 6-24. RincónCervera MA, Venegas E, Ramos Bueno RP, Suárez Medina MD, Guil Guerrero JL (2015) Docosahexaenoic acid purification from fish processing industry by-products. Eur J Lipid SciTechnol117: 724-729. Ngo D-H, Wijesekara I, Vo T-S, Ta QV, Kim S-K (2011) Marine food-derived functional ingredients as potential antioxidants in the food industry: An overview. Food Res Int44: 523-529. Kelleher K (2005) Discards in the world's marine fisheries: an update. FAO Fisheries Technical Paper 470: 134 pp. Antelo LT, Lopes C, Franco-Uría A, Alonso AA (2012) Fish discards management: Pollution levels and best available removal techniques. Mar Poll Bull 64: 1277-1290. Hall SJ and Mainprize BM (2005) Managing by-catch and discards: how much progress are we making and how can we do better? Fish and Fisheries 6: 134-155. Heath MR, Cook RM, Cameron AI, Morris DJ, SpeirsDC (2014) Cascading ecological effects of eliminating fishery discards. Nature Comm5: 3893. Damalas D (2015) Mission impossible: discard management plans for the EU Mediterranean fisheries under the reformed Common Fisheries Policy. Fisheries Res 165: 96-99. Sardà F, Coll M, Heymans JJ, Stergiou KI (2015) Overlooked impacts and challenges of the new European discard ban. Fish and Fisheries 16: 175-180. Kennelly SJ and Broadhurst MK (2002) By-catch begone: changes in the philosophy of fishing technology. Fish and Fisheries 3: 340-355. Perez Galvez R, Berge J-P (Eds) (2013) Utilization of fish waste. CRC Press, 232 pp.